The California Department of Fair Employment and Housing recently released a report regarding discrimination trends. An experienced Costa Mesa employment lawyer can help you determine if you have been the victim of discrimination in employment or housing. California employers likely know the serious nature of discrimination claims and how they can affect the lives of everyone involved. California law is very strict regarding discrimination and the state is consistently working to develop better laws and regulations to protect workers from being discriminated against for any reason. Unfortunately, discrimination is still a very serious problem, and recent reports indicate that it is not going away anytime soon. Every year, the California Department of Fair Employment and Housing (DFEH) submits a report to the governor and state legislators regarding the trends in discrimination claim filings. The report includes race, gender, and disability-related discrimination. The mission of the Department of Fair Employment and Housing is to protect Californians from any form of discrimination, including employment discrimination, violence, and harassment. Recent reports indicate that in 2012, more than 21,400 cases were filed with the DFEH, with 92 percent of them resulting from employment law cases. The report broke down the top three forms of discrimination and tallied the total number of cases as follows: race/color, 6,990; sexual harassment, 6,169; disability, 13,452. The trends illustrated in this report provide a glimpse at what the immediate future holds for discrimination claims. So far, it is expected that the area of gender identity and expression will see an increase in discrimination cases in 2014. These areas are now considered covered under the Fair Employment and Housing Act (FEHA), and California Government Code. In addition, federal laws are pending that would make it illegal to discrimination on this basis and the president could sign an executive order that would affect government contractors soon. The increases are not limited to LGBT claims, according to recent reports. 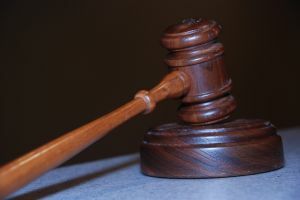 Mediation is expected to increase substantially due to changes in DFEH regulations which require alternative dispute resolution, before cases may proceed to court. Currently, the settlement rate for DFEH cases is 80 percent. It is important to note that simply because mediation is the chosen method for resolution; it is still important that California workers be aware of their legal rights and consider their options for legal counsel. If the DFEH takes a case to court and files a civil action, it will have authorization to obtain fees and costs, much like an attorney. Because every individual is different, the details of every discrimination case will be different, and will require a tailored finesse. Fortunately, our California discrimination lawyers know what it takes to successfully navigate through the often complex nature of discrimination cases.